The wants and needs of the consumer market are changing on a daily basis. Merchants and retailers who don’t stay ahead of the game will soon find themselves out of the market. Keep your traders in profit with flexible and secure banking payment solutions that stay ahead of the increasingly steep technology curve. 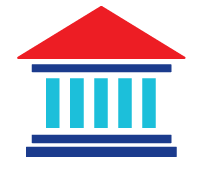 As the acquiring bank it is your responsibility to ensure your merchants remain solvent – your reputation is constantly on the line. With the increased digitalisation of the payments market comes constantly evolving threats. With Ingenico as your payment solutions partner, you can provide your merchants with a reliable, secure payment gateway. Give your merchants peace of mind with a payment terminal fleet they can monitor from a single, centralised solution. All of our 32 million terminals in operation worldwide meet the stringent international security standards of the PCI. What’s more, all our hardware meets ISO standards for electronic identity cards. All of this helps you protect your customers from counterfeit card use and payment fraud. The exponential growth of the online marketplace means that merchants are now selling to the world, even if their operations are only local or nationwide. At Ingenico, we have a truly global footprint, with operations across five continents. This global reach means we can help you make your merchants’ international transactions as easy as a cash sale and improve their conversion rates as a result. Our banking solutions include cross-border payment architecture and innovative cloud payment infrastructure. This enables you to present a flexible, agile and constantly evolving cross-border payment solution. Our white label e-commerce and mobile solutions empower you with the best of both. Enable your merchants to sell online easily and securely. Help them expand their sales opportunities by facilitating online business outside of operating hours. Further their sales reach with a payment solution that integrates loyalty services, gift cards and incentive programme management. Providing support and working in collaboration with you as the acquirer, we can help you integrate your own software into POS and mPOS terminals, providing third party technological support to help you make the payment solutions your own. That’s why more than 1,000 global banks and acquirers choose to work with Ingenico. Advanced technology: Provide your merchants with the appropriate terminal to suit their needs, from mobile point of sale (mPOS) units operating via GPRS, 3G, Bluetooth or Wifi, to hardwired, countertop POS terminals that can operate with or without a cash register. Omni-channel payments: Offer the latest payment methods across all channels, including EMV, NFC, signature and e-Wallet for in-store transactions, and online payment gateways for e-commerce. Security compliance: We only provide PCI-PTS approved devices, while our OnGuard point-to-point encryption (P2PE) solutions provide end-to-end security for your merchants’ transactions. 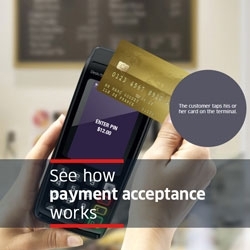 Flexible terminal transactions: With our Telium TETRA payment solution. This combines secured terminal payments with an open ecosystem of business apps, enabling your merchant to handle legacy payment activities and transition to the digital age, enhancing their consumer experience. Find out why more than 1,000 global banks and acquirers work with Ingenico for their merchant payment solutions. Fill out a contact form to and receive a call back from one of our experts. We’ve been working with Ingenico for the past 15 years, so we’ve been through a lot of changes in the payments industry together in that time. As the largest payment processor in Canada we’ve got a lot of terminals out there. We’ve been through the chip and pin migration with Ingenico and most recently we’ve been deploying a lot of contactless in our market with Ingenico where we are replacing a number of terminals.